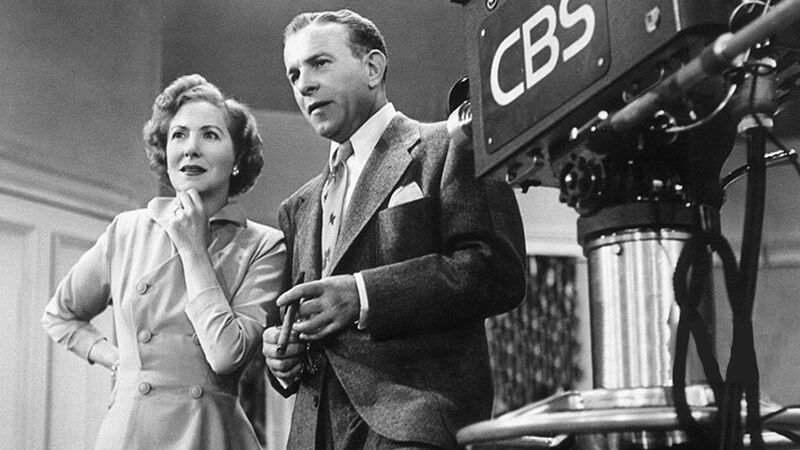 Here's where to watch every episode of The George Burns and Gracie Allen Show season 8. Mouseover or tap an episode to see where to stream it. Click or tap the play icon to stream it on the best available service. The General Sep 30, 1957 George is planning to follow the current trend in TV and do the show as a western, but, as often happens, the distinction between the show and reality is blurred, and somehow we wind up with a plot which focuses on guest star Douglas Dumbrille's portrayal of a stern army general who wants his son to go to West Point rather than to get married. Gracie provides her ""help"" and the conflict is resolved (in spite of it). Too Much Pot Roast Oct 7, 1957 Ronnie has trouble concentrating on his college studies due to his obsession with his female classmates. Gracie provides a solution. The Texan Italian Oct 14, 1957 Gracie attempts to make over Bonnie Sue McAfee into an Italian actress in an effort to advance her movie career. An English Tea Oct 21, 1957 Gracie tries to impress the mother of Ronnie's English girlfriend by renting copies of old masters paintings to decorate the house and arranging for Harry Morton to impersonate George. September And May Oct 28, 1957 After June Jantzen seeks advice about her father, whom she mistakenly thinks is dating a woman half his age, Gracie concludes that Ronnie's newest girlfriend is cavorting with all of the older men in the neighborhood. The Star Maker Nov 4, 1957 Gracie gets a really convoluted idea to help Brian McAfee pass a difficult exam: she tries to get Brian's bright classmate, Alfred Kramer, to change his name to Brian McAfee before the exam is given. This way ""Brian McAfee"" will excell. Gracie comes up with a very unusual plan to get Alfred to change his name. The African Hunter Nov 11, 1957 When a swooning Gracie invites a game hunter to spend the week at the house, George concocts a bizarre scheme to scare him away. One Little Fight Nov 18, 1957 Ronnie and Ralph have a brief falling out over a girl, so Gracie, oblivious to the fact that the boys have already made up, stages a huge fight with Blanche to show him how silly it is to quarrel with one's best friend. With Or Without Glasses Nov 25, 1957 Three weeks ago, Gracie persuaded Alfred Kramer to stop wearing his glasses. Now, she must do the reverse, so that Alfred can bring his grades up to par. A Box Of Cigars Dec 2, 1957 Ralph's girlfriend, Imogene, is a candidate for homecoming queen, and he and Ronnie are campaigning for her. Gracie suggests that they hand out cigars to potential supporters, and gets Von Zell involved in a scheme to appropriate George's new box of cigars for this purpose. Misery Loves Company Dec 9, 1957 Ralph's girlfriend, Imogene, has deserted him and he is down in the dumps. Gracie feels compelled to help make him feel better by demonstrating to him that everyone else feels as miserable as he does. A Hole In The Carpet Dec 16, 1957 Gracie trips and falls in the Wilshire Dept. Store and gets into some convoluted negotiations with the store's insurance adjustor. How To Wrap A Mink Dec 23, 1957 Ronnie is working at the Wilshire Dept. Store as a wrapper, Harry Morton and George are planning cheap gifts for their wives for Christmas, and Harry Von Zell has an old racoon coat. These circumstances, plus Gracie and Blanche's desire for mink, sustain this lively episode. Invitation To The Party Dec 30, 1957 A mis-delivered party invitation creates a sensitive situation as Gracie attempts to mitigate the problem and enhance Blanche's popularity. The Stolen Car Jan 6, 1958 Ronnie is attempting to become a reporter on the college paper, but needs to come up with a sensational story. Brian McAfee has just been given a new Lincoln, and Gracie has some ideas about using the car to help Ronnie get a scoop. McAfee And The Manicurist Jan 20, 1958 Mr. McAfee has become infatuated with a manicurist. Bonnie Sue, believing the woman is only after her father for his money, consults Gracie for advice. Harry Von Zell once again gets involved, and this time he really gets into trouble due to George's meddling with the plan. Too Many Fathers Jan 27, 1958 Jerry Gilbert has given his girlfriend, Sandy, the impression that the Burns' house belongs to his parents, and Gracie decides to further the charade by posing as his mother. But who will play his father? Could it be George, or Von Zell, or Harry Morton perhaps? The Accident Feb 10, 1958 Harry Morton's safety record is in jeopardy as he collides with another car while driving with Gracie as a passenger. Complications arise when the driver of the other car is a young lady who attracts the interest of Ronnie. The Japanese Texan Feb 17, 1958 Gracie and George plan to celebrate their ""tenth"" (but no one knows exactly what tenth it is), and Bonnie Sue demonstrates her acting prowess as she attempts to land a part as a Japanese girl in one of producer Walter Sinclair's movies. Hypnotizing Gracie Feb 24, 1958 Despite inner misgivings, George Burns allows Gracie to meet a hypnotist and his worst fears are realized when Gracie emerges from the meeting with a completely different personality. Gracie Is Brilliant Mar 3, 1958 Gracie's still a brain trust tonight, and she's about to make a killing on a quiz show. Talking with neighbor Harry Morton is more interesting now than jabbering with Blanche and husband George. It's all good fun, but the best scene comes at the beginning when George cooks breakfast for Gracie. Ronnie's Fan Club Mar 10, 1958 The story revolves around ten year old Edie Westrope, who is the president and only member of her own Ronnie Burns fan club. And, by the way, she happens to have a gorgeous older sister. Frozen Passion Mar 17, 1958 George discusses the production of a movie with producer Jack Bradley. Gracie attempts to cast family and friends in the movie. Things get more complicated as Harry Morton's father pays a visit. High Blood Pressure Mar 24, 1958 A very frustrating episode for George: first, he has a lot of trouble getting out of the house to play golf, and then Gracie decides to use him in a scheme to help Mr. Jansen the plumber pass a physical exam. Softening The Professor Apr 7, 1958 A spring show tonight as Harry von Zell falls in love, neighbor Blanche Norton buys an expensive outfit, and son Ronnie Burns cuts his college classes. Gracie helps each one and fouls them all up nicely. The Publicity Marriage Apr 14, 1958 Ronnie has a young girl pestering him, and when Gracie tries to stop her by saying Ronnie is married, the news hits the papers. Lots of scenes with the youngsters tonight, and not quite enough of Gracie and Blanche. Blanche Gets a Jury Notice Apr 21, 1958 Harry Morton is happy to learn that wife Blanche has been summoned for a month's jury duty. When he calls the judge to be sure they accept Blanche, Harry is only thinkin g about enjoying a month of peace and quiet. But the judge suspects it is a ruse to avoid serving on a jury. In the confusion, Gracie manages to get her name on the list for jury duty too. Gracie And The Jury Apr 28, 1958 Gracie creates mayhem as a juror on a counterfeiting case. She confounds the judge and her fellow jurors with her usual antics, and her mishandling of the evidence ultimately gets Harry Von Zell into big trouble. Ronnie Makes A Record May 5, 1958 George convinces a recording executive that son Ronnie should make a record. But Gracie thinks George is the one who wants the record contract. Ronnie's Royalty Check May 12, 1958 Gracie worries that Ronnie will spend his money foolishly when he receives the first royalty check for his new recording. Then a pretty blond singer pays visit a visit to Ronnie, and Gracie is sure the girl is after his money! A Visit From Charles Vidor May 19, 1958 Movie director Charles Vidor pays a visit to George. He is looking for a master of ceremonies for the annual dinner of the Screen Directors' Guild. Ronnie Goes Into The Army May 26, 1958 It looks as if Ronnie is going to be drafted, so Gracie decides to prepare her son for the discipline of Army life. She adapts the Burns household to a military routine, in the hope that Ronnie will become acclimated more easily. Locked Out Jun 2, 1958 In an attempt to help her family, Gracie upsets George's dealin gs with a television executive, and almost breaks up Ronnie's romance with a hat-check girl. George feels it's the last straw when Gracie also loses the house key, at exactly the wrong moment! The Week In New York Jun 9, 1958 Gracie makes plans to go to New York with her friend Blanche, but she doesn't tell George about the proposed trip until she's ready to leave. Ronnie decides to take advantage of his mother's absence to plan a birthday party for his girlfriend. The June Wedding Jun 16, 1958 When Ronnie mixes up the hotel reservations for his newly married friends Frank and Linda, George and Gracie feel it's their duty to invite the newlyweds to spend part of their honeymoon in the Burns home. During their stay with the Burnes, the young couple casts a romantic spell over Gracie, Blanche and Bonnie Sue, Ronnie's girl. Summer School Jun 23, 1958 Ronnie is making plans to have a Ronnie Burns Entertainment Troupe at Big Bear Lake during his summer vacation. But when George finds out what Ronnie's grades were, he decides that Ronnie should attend summer school instead. The Grammar School Dance Sep 8, 1958 Ronnie's romance with a current flame runs into a snag when he is coerced into escorting a young girl to a grammar school prom. The Exchange Student Sep 15, 1958 A visit from a foreign-exchange student throws the Burns household into turmoil. Ronnie fears his girl friend Bonnie Sue will desert him in favor of the handsome Frenchman.